Welcome to this beautiful 4 bedroom 3 bath with loft, detached two story home in the riverbend master planned community. Move in ready featuring 1st floor 1 bedroom, 1 bath perfect for guests. 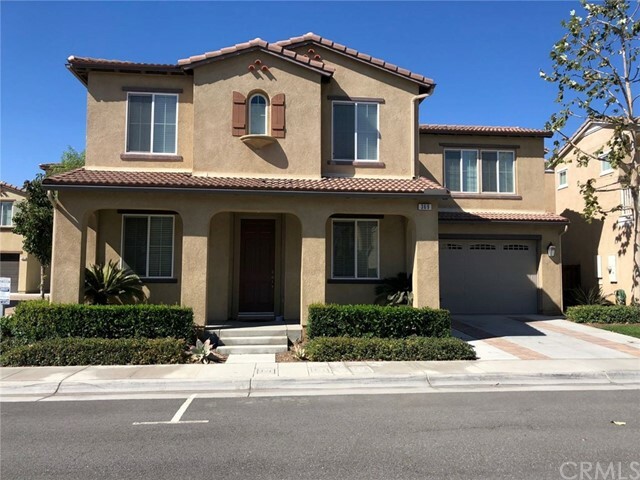 Open floor plan with high ceilings, gourmet kitchen featuring granite counters, a large island, stainless steel appliances, upgraded tiled back splash, open to the family room with fireplace. Upstairs master bedroom features walk in closet, dual sinks, separate shower and tub. All bathrooms have been upgraded. Upstairs laundry room. Two car attached garage. Hoa includes high speed internet in the home. Amenities include pool & spa, nearby park with tennis, baseball, and basketball areas and a playground. It has direct access to the river trail. 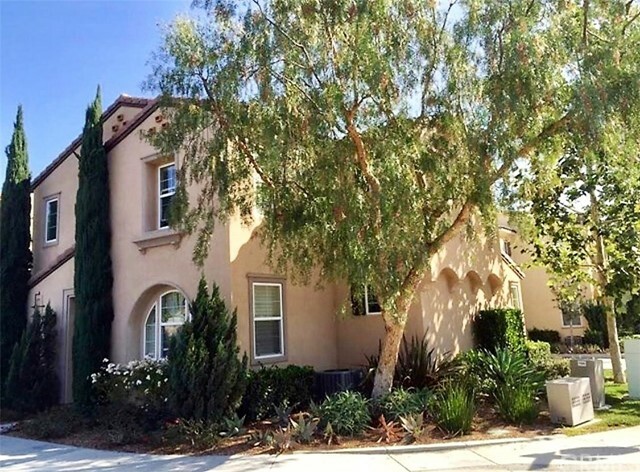 Very convenient access to 55, 91, 57 freeway. Beautiful home in the desirable neighborhood of riverbend. Zoned as a condo but sits more like a single family residence / pud that has no attached walls, view our 3d virtual tour. Downstairs bedroom with 3 bedrooms up plus a bonus area. Open kitchen with island, granite countertops, and formal dining room. 2 car direct access garage with plenty of storage. Wired for security system (just pay for the service). Comes with a water softener (just add the salt). 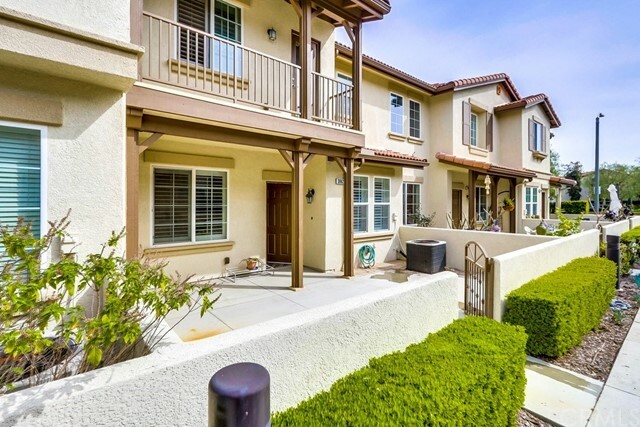 Close to freeway and amenities, hoa includes pool and parks. Close to hiking trails. A must see! Fantastic four bedroom plus loft home in the desirable neighborhood of riverbend! Designed for how we live our lives today, this home has an expansive great room with a wide open kitchen. You'll enjoy granite counter-tops and back-splash, a huge breakfast bar, stainless appliances and under-cabinet mounted lighting. In addition to a dedicated dining room downstairs as well as main floor bedroom, there is also eat-in kitchen space adjacent to the large, open living room. Upstairs boasts two large secondary bedrooms, the master suite and a loft you could convert to a fourth bedroom. In the master suite, you'll find the master bathroom is one you can find refuge in while relaxing in the tub. Master bath also includes double sinks and a separate shower stall. This home is complete with laundry room with sink, a private driveway and small backyard to enjoy the outdoors in. 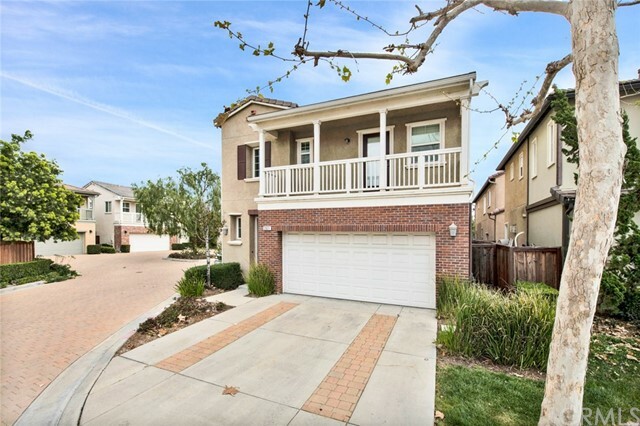 With great freeway access close to so many things that orange county has to offer this home won't last long! Amazing move in ready 3 bedroom / 2. 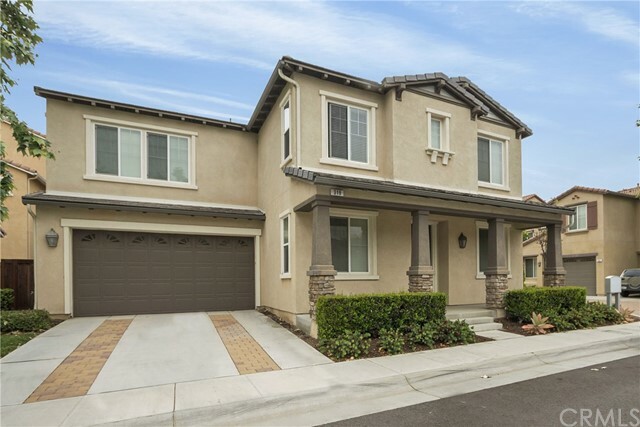 5 bath detached, two story home in the coveted riverbend community! Enter into the open dining and living area with beautiful laminate flooring throughout the main level. The spacious kitchen opens to the family room with premium built-in speakers, cozy gas fireplace, and features an additional small dining area. The kitchen is complete with granite countertops, stainless steel appliances, center island, and ample cabinet space. Convenient 1/2 bath located on the first floor, along with access to the private paved backyard. Upstairs master suite includes walk-in closet, storage attic, and 40" samsung flatscreen tv in the master bedroom. Roomy master bath has dual sinks, separate shower and tub. Attached 2-car garage with updated epoxy floor and mounted shelves. Additional amenities include a separate laundry room on the 2nd floor with plenty of storage space, as well as an open loft style space for an office or play room area. Recessed lighting and new paint throughout the home, central a/c & heater, plus ceiling fans. Hoa includes high speed internet, access to gated community pool and spa, and gardener maintaining exterior common areas. 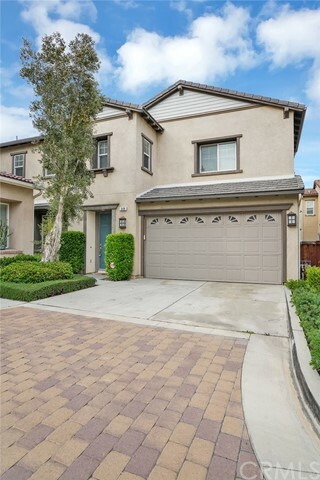 Convenient access to the 55, 91, and 57 freeways! Welcome to the enchanting "riverbend community". End unit!!! Filled with natural light. Prime location and modern design with lush landscaping all around. Very private 3 large bedrooms plus office/den/4th bedroom and 3. 5 baths. Spacious, private yard. 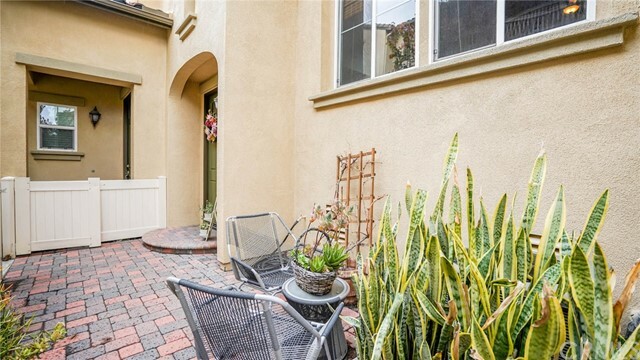 Charming path leads to a welcoming entry with warm, hardwood flooring that sets the stage for a wonderful opportunity to own a beautiful home. Filled with bright natural light; cathedral ceilings. Gourmet kitchen is highlighted with granite counter-tops; stainless steel appliances, refrigerator included. Convenient breakfast bar in the kitchen which opens up to family room with cozy fireplace. The huge master suite is a true retreat with a separate tub/shower and dual vanity sinks and walk in closet. Private laundry room with washer and dryer included. The 2 car-garage has direct access into the home with extra storage and water softener. Hoa includes olympic size pool and spa and high speed wifi. New steve ambriz park is steps away featuring baseball field, tennis courts, basketball and playground. Walking and biking trails are also available within walking distance of the santa ana river as well as easy freeway access to 55,91, 57. Listing Agent: Maggie Shapiro Listing Office: Keller Williams Coastal Prop. 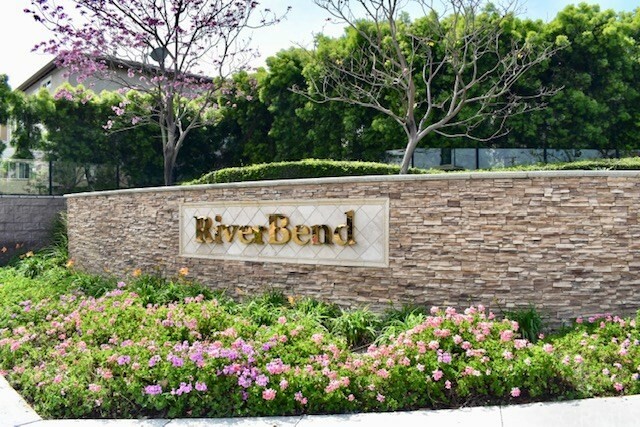 Rare 2 bedroom unit in thistlewood in the riverbend community in orange. This wonderful plan 1 home allows you to enjoy a number of upgrades in this turnkey home. Amazing curb appeal with your own private driveway. This home features a spacious kitchen an island with granite countertops throughout. This is a plan 1c home showcases the largest balcony in the community. Dual master bedrooms give you comfort in the upstairs and caters to multiple family situations. This home is centrally located near the riverbend community areas which include an association pool, spa and minutes away from steve ambriz memorial park. Love open floor plans, this is your place! 2 bedroom, 3 bath condo, contains high cathedral ceilings in the living and dining room area. Plantation shutters to adjust the wonderful lighting. 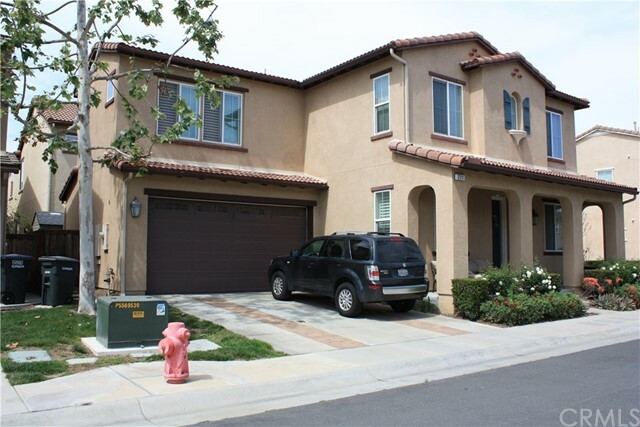 Located in the desirable riverbend neighborhood built in 2007 by lennar homes. The interior of this warm welcoming home features dark wood flooring downstairs, and carpet on the stairs, hallway, and bedrooms. Quaint kitchen with white cabinets, stainless steel oven and built in microwave. Lovely gorgeous granite counters to add a plus, a breakfast bar. Good size master bedroom with walk in closet and double wardrobe mirrored door. 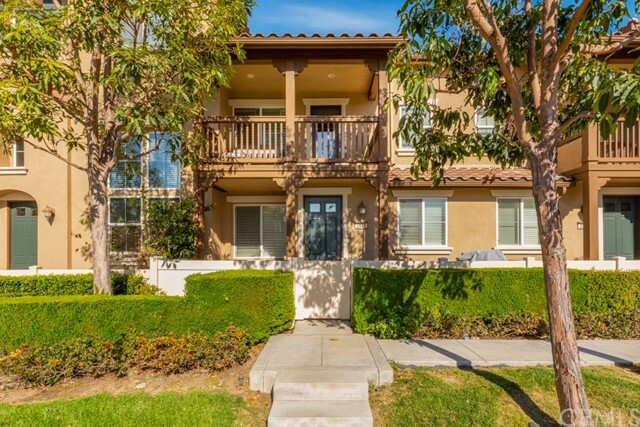 Master contains an access door to a balcony to view of the park, gorgeous sunsets and disneyland fireworks. Upstairs laundry is favored by all. Attached two car garage for easy access to home entry, ample guest parking. Buyer's will appreciate the low hoa dues at $232 month(two separate hoa's) to include internet access. Just a block away from steve ambriz community park with a huge playground area, baseball is the game here, tennis courts, junior olympic size pool & spa. Close to good schools, the village shopping mall & plenty of delicious restaurant's very close by. You commuters will smile finding it's easy access to the 91, 55, and 57 freeways!